Hey, everybody! Happy Thanksgiving! Sorry about we have missed Give Thanks Week these last two days ago, nobody really has sent us anything but Leanna. Please send in your photos before the week is over!!! 1. Where/What are you doing for Thanksgiving? 2. What is your favorite meal or course that you get to have on Thanksgiving? 3. What are you Thankful for? It’s day 2 of Give Thanks Week, and Leanna’s two dolls, Ana and Kristy, would like to share with us what they are thankful for. 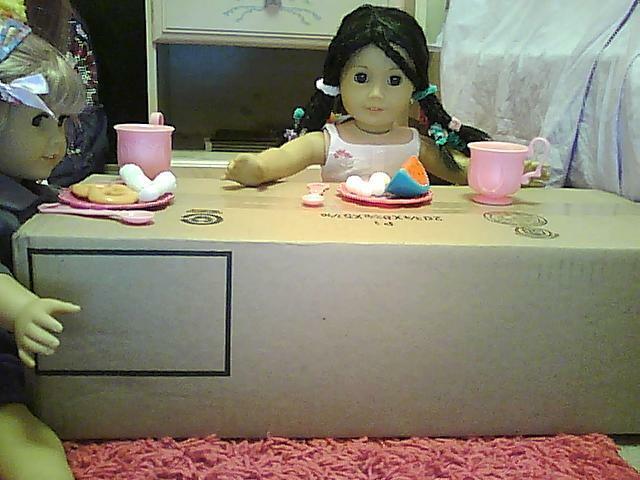 Leanna’s doll, Kristy, is thankful for food to and a place to eat it. Ana is thankful for shelter. Well, that’s it for today’s “Give Thanks” photos. Send in your own before the week is up! 🙂 Thank you! Ok, I’ll kick-off Give Thanks Week. This is my own entry as Madeline, LOL. I have three photos. 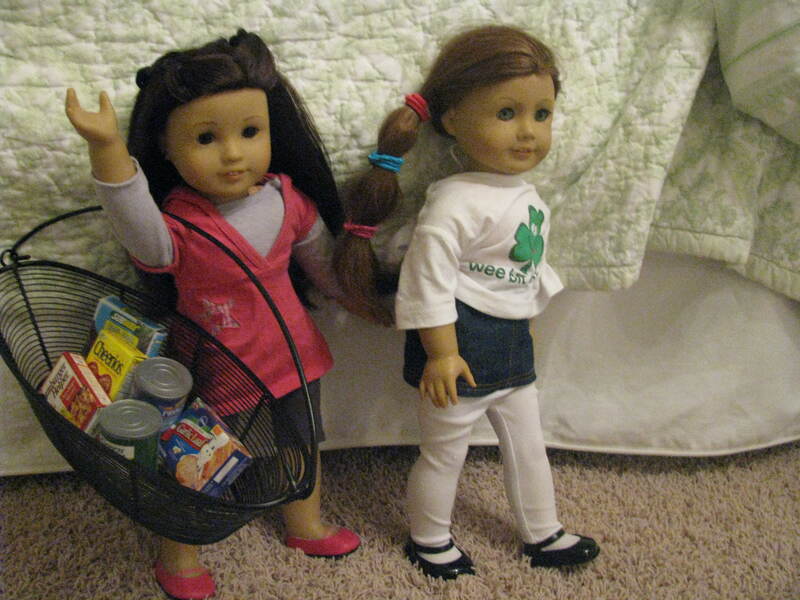 My dolls, Eva Grace and Felicity, are thankful for food to eat, and the opperatunity to bring the extra that they don’t need to a food drive. My doll, Addy, is thankful for music and the ears to listen to it. 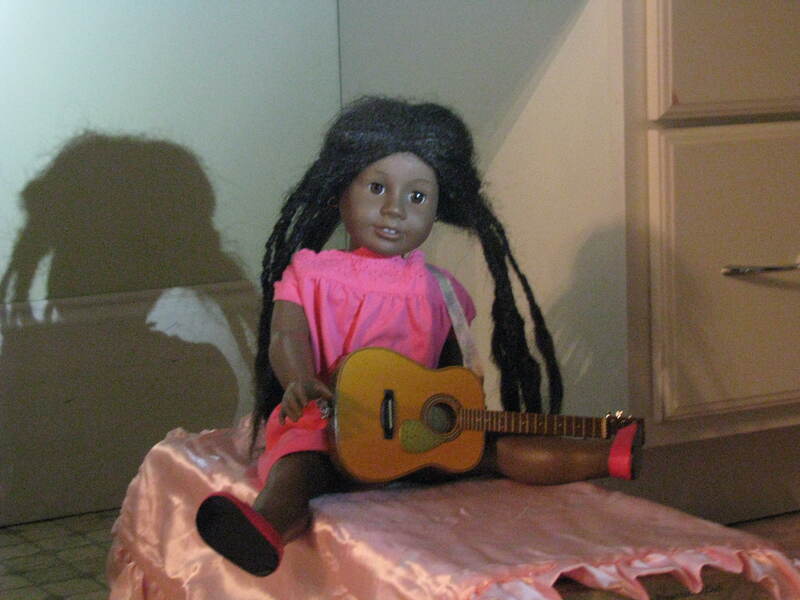 My doll, Elsie, is thankful for Jesus dying on the cross for her sins. Well, that’s that! Join us next time and enter your own photos! COMMENT AND RATE!